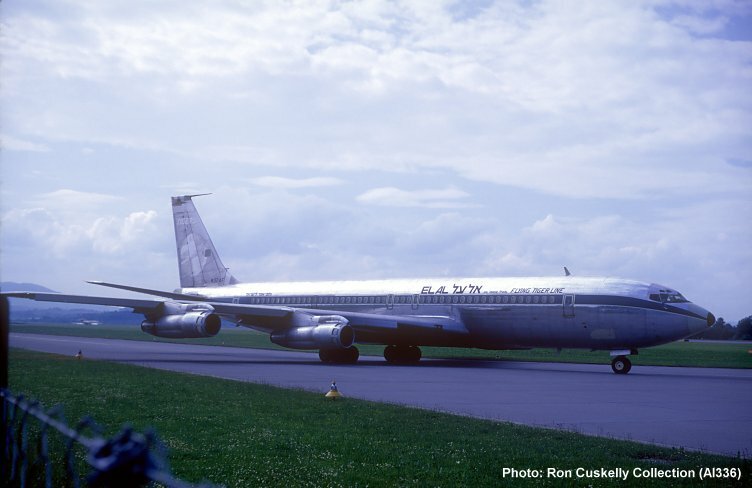 Boeing 707-349C N324F in service with El Al in basic Flying Tigers livery at an unknown location c. May 1968. The aircraft carries the inscription "on lease from Flying Tiger Line". The following year the aircraft appeared in the original Airport movie in Trans Global colours. During 1970/71 the aircraft operated on lease to Qantas as VH-EBZ City of Swan Hill.